Together with a funny little deer, nicknamed Rudolph, go on a magical trip to Santa’s sleigh in order to give everyone Christmas presents. On the eve of Christmas, the developers of slot machines, are trying to release something thematic. The company Booming Games did not become an exception and presented to our attention a slot called Rudolph’s Ride. On the technical side, the Rudolph’s Ride slot machine has 5 reels, 20 lines for making combinations and a minimum bet of $ 0.20 per spin. The protagonist of the slot is a cute little deer – which became known for the cartoon released in 1998 under the name “Little reindeer Rudolph”. It described how a red-nosed deer having gone through all the ridicule and hardship, was able to achieve becoming the main deer in the Santa Claus team. Rudolph’s Ride slot design has received a Christmas theme. The playing field is located on the background of the city, decorated with colored lights and toys, with Santa’s sleigh flying soon and everyone will be able to get their presents. Among the characters you will see four Christmas socks, an elf, a sleigh with presents, Mrs. Claus, Santa himself and of course the protagonist of the funny deer. 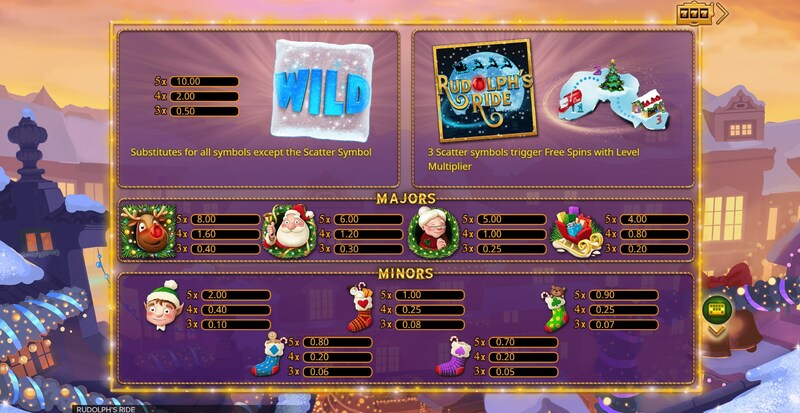 Wild (an image with an identical inscription), is used to replace all the characters, except for the Santa claus scatter, which starts the free spins function. The developers of Booming Games rarely endow their slots with any unusual bonuses. 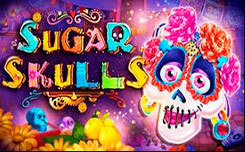 This time they decided not to deviate from their rules, so playing for free on our website you will find the only bonus – these are free spins with interesting features. In order to get access to the free spins round you need to catch the scatter symbol on the first, third and fifth gambling drum. 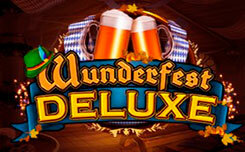 This round has three levels, on the first you will be offered eight free spins. If at this level you catch three more scatter symbols, then go to the second and get another 8 free spins by the x2 multiplier. 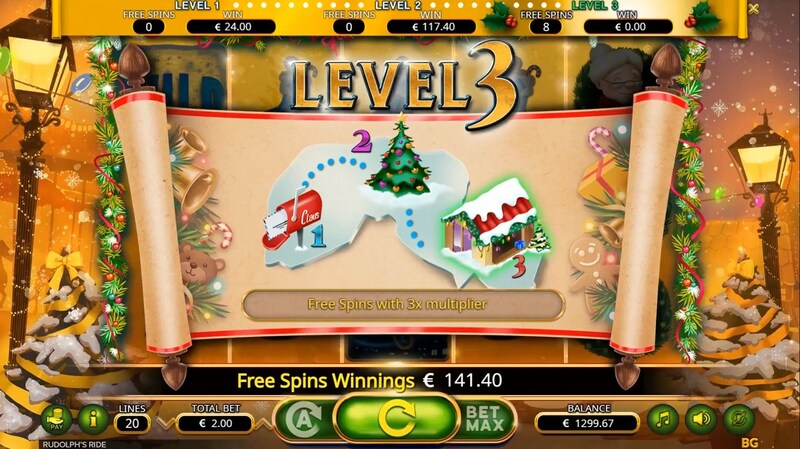 If you are lucky with it too and you have received three more scatter symbols, you will go to the third level, where you will receive eight more free spins, during which all received winnings will be calculated taking into account the multiplier x3. 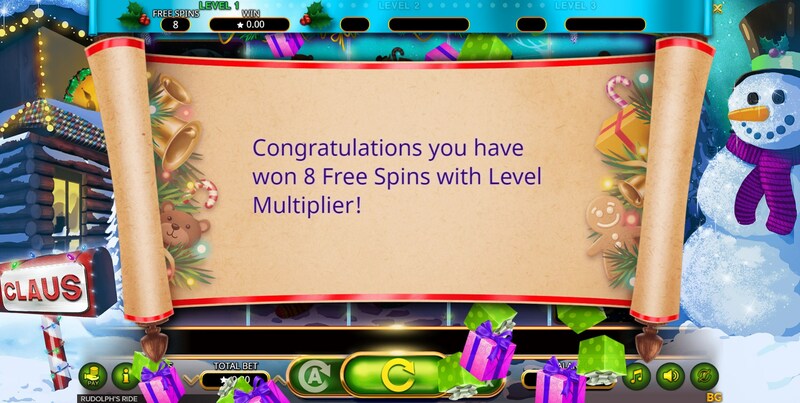 At the third level, free spins can be restarted an unlimited number of times. Summing up, we can say that the Rudolph’s Ride slot machine turned out to be interesting, exciting and would be a great addition to the Christmas slots. Do not miss the opportunity to play for free in Rudolph’s Ride on our website and experience the atmosphere of the upcoming holiday.